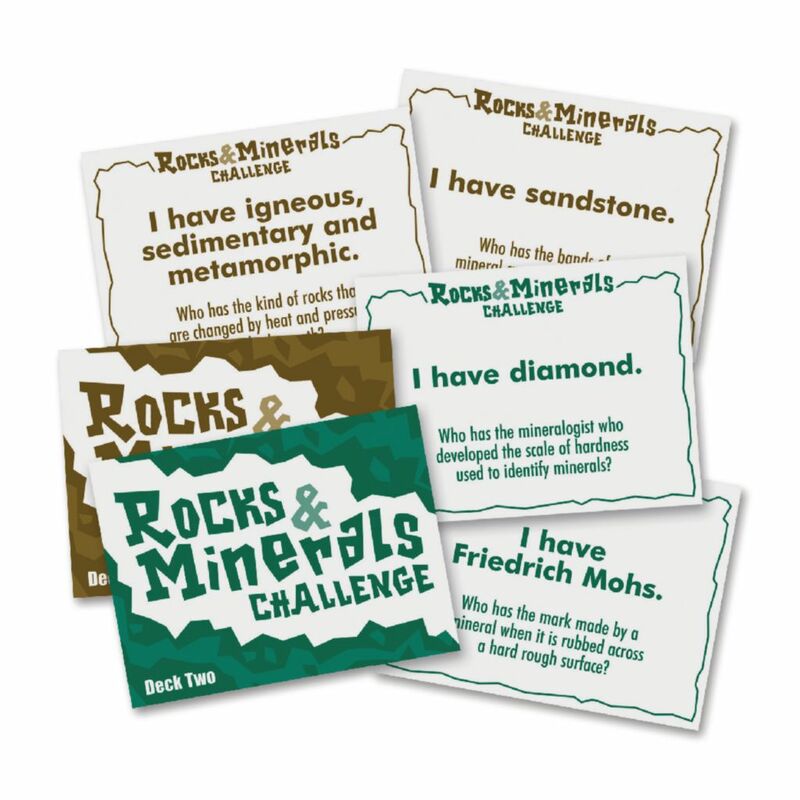 Students will have a "rock"in time learning and understanding the properties and classifications of common rocks and minerals with real-life examples through this fast-paced game. Work to beat the clock as the entire class works together to explore topics in lightning speed to beat their best time. Play multiple times and cover various subject materials while keeping students engaged through the two separate games. Includes two decks with 30 cards in each deck, instructions and an answer key.